For investors whose residence is outside the United States, there are different ways to get legal immigration status. One of the most popular is investing in a new or established business and creates new jobs as a result. However, in order to start the process, you will have to choose the right business plan that complies with all rules and regulations while offering your investment the best chances of success. Fortunately, there are different business plans available and you just need to understand the parameters and where the end result will take you. Essentially, it is a simple guide that is in written form that outlines the goals of your efforts and puts in the details of how you will get there. In the old days, business plans were seen as long, formal documents that were more about form than they were about the actual plan. Today, business plans are relatively short on words, but emphasize the step-by-step means of setting goals and achieving them within a certain time frame. 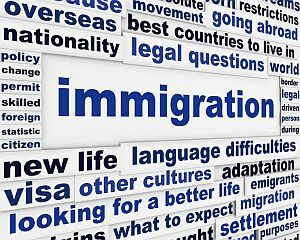 For those who want to enter the United States, there are different immigration business plans for investors to use in order help gain permanent residency. Business Plan E2: Also known as the Investor Visa plan, this one is for individuals who arrive in the US to create or purchase a business. This is a rather basic plan that can be modified to fit the needs of the investor looking to get the most value from their investment. Business Plan L1: For those who are setting up a subsidiary in the US or perhaps moving personnel to an existing subsidiary, this is the appropriate business plan for your needs. Here, businesses and individuals will have to meet specified requirements in order to get the L1 Visa. Business Plan EB5: Otherwise known as the Immigrant Investor Program, it has a considerable amount of flexibility and offers the quickest path towards becoming a permanent resident of the US at least for individuals who have a considerable amount of wealth. The advantages of the Business Plan EB5 start with having a no quota waiting list and access to different investment options that begin at a half-million dollars. – Invest at least $500,000 into a new or existing business in a Target Employment Area (TEA) zone. – Invest at least $1 million into a new or existing business outside a TEA zone. – Create at least ten full time DIRECT jobs per $500K/$1 million that is invested within two years of the application. If you are considering investing in the United States and obtaining permanent residency, then you will need to fashion an appropriate business plan that meets the requirements. Joorney Immigration Business Planning offers the answer as they provide the knowledge and experience needed to create an accurate plan that meets all US government requirements. When you have questions about creating the right business plan for your needs, Joorney has all the answers.